Even before the launch of the scheme, messages are circulating on the social media claiming that the public will have to pay Rs 1324 for Ayushman Bharat registration. Ayushman Bharat registration: With the scheme expected to be very popular, mischief-makers are looking to take advantage of innocent and gullible people. Ayushman Bharat registration: Prime Minister Narendra Modi's flagship healthcare scheme is all set to see the light of the day on September 23. The PM will be launching the scheme, nicknamed ModiCare, from Jharkhand on Sunday. Around 200 hospitals have already been empanelled under the scheme in the state. Ayushman Bharat will have around 50 crore beneficiaries. The Ayushman Bharat scheme aims to provide healthcare facilities worth Rs 5 lakh annually to 10 crore families and over 50 crore people. Eligible people can avail the benefits in the government and listed private hospitals. With the scheme expected to be very popular, mischief-makers are looking to take advantage of innocent and gullible people. 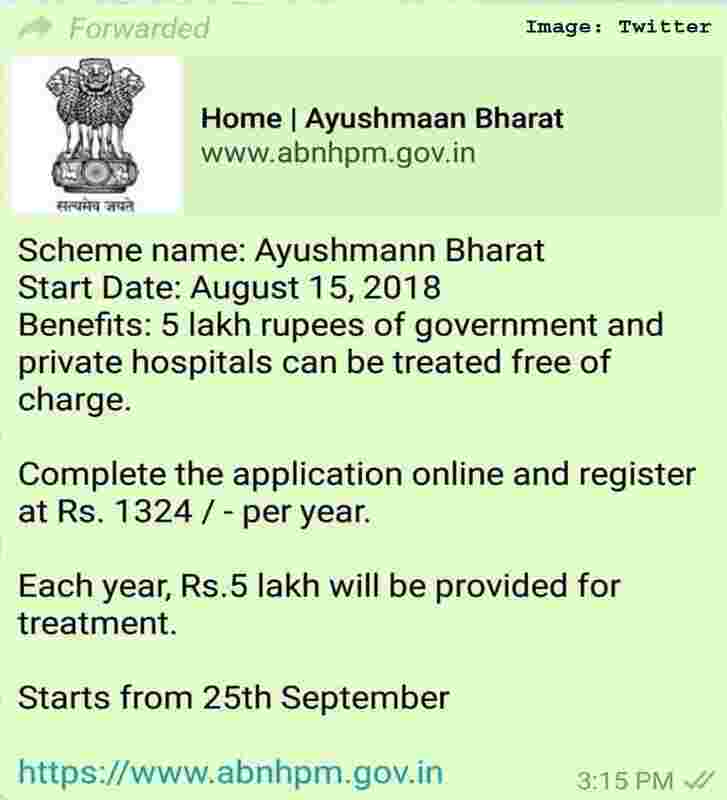 Even before the launch of the scheme, messages are circulating on the social media claiming that the public will have to pay Rs 1324 for Ayushman Bharat registration. 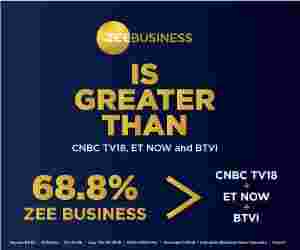 These messages claim that after registration, the person can avail free treatment with benefits of up to Rs 5 lakh in government and private hospitals. However, is it true that to avail these facilities, the common man will have to pay Rs 1324? The answer is No! Union Health Minister J P Nadda today cleared this up and said that reports that say payment is required are fake. He said that Ayushman Bharat is an entitlement based scheme and is not only absolutely free but also doesn't require registration. "Dear Citizens, Please be very clear that #AyushmanBharat - PMJAY is a entitlement based scheme. It is absolutely free for beneficiaries. You need not to register anywhere," he said on Twitter. Please be very clear that #AyushmanBharat - PMJAY is a entitlement based scheme. It is absolutely free for beneficiaries. You need not to register anywhere. The government has also launched two helpline numbers for the scheme which are 14555 and 1800111565. The details of the scheme are also available on the official website abnhpm.gov.in. Recently, the Centre has launched a website - mera.pmjay.gov.in where one can check if their name is in the list of beneficiaries or not. * There is no restriction on family size, age or gender. * All members of eligible families as present in SECC database are automatically covered. The National Health Agency, the autonomous body for implementing Pradhan Mantri Jan Arogya Yojana (PM-JAY)or Ayushman Bharat, has also trained 6,432 Arogya Mitras to ensure the smooth operations of the scheme.hin smart city infrastructure.